These curtains. They’ve been a long time a comin’. Starting way back when I first eyed up this fabric, in… August 2012. Gulp! Then we DIY’ed some curtain rods a year later. And they stayed bare for many more months, while I shopped around, and around, and around. 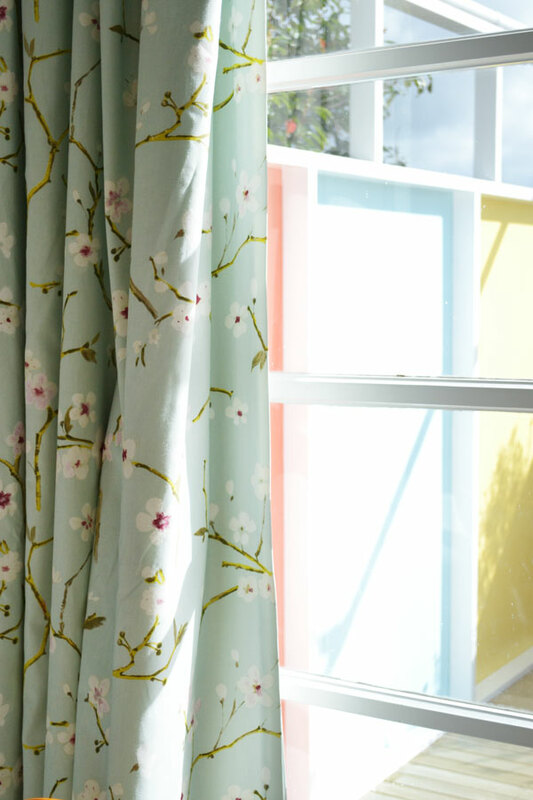 Call me thrifty, call me cheapskate… but I didn’t want to spend over $1k on one pair of curtains. One summer passed by and I missed the special deals. Another summer came… and I juuuuust scraped in, with a few lessons learned along the way. 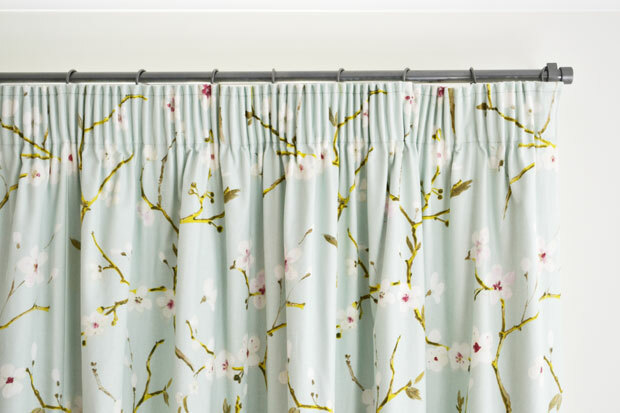 After hosting a few big brand curtain consultants who offered only scary quotes and less than helpful advice, I decided to trust my own judgement on the fabric and style I’d had plenty of time to mull over, and hunted down a smaller scale curtain maker. 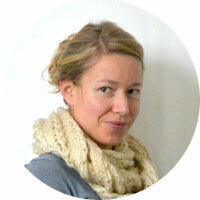 They appeared professional, with a simple website, some good reviews, and plenty of helpful advice. Not to mention a 30% lower quote than the cheapest of the big names. 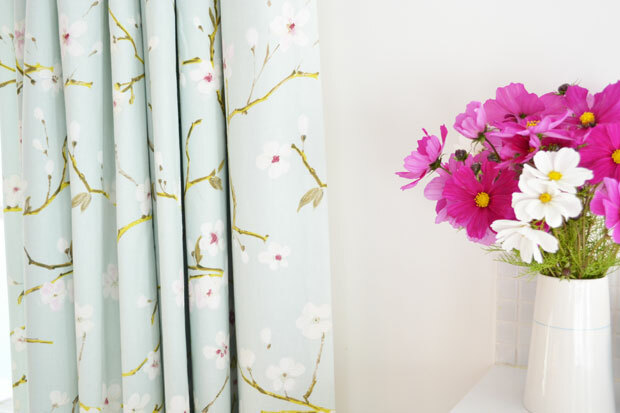 Things were looking rosy and I had high hopes of hanging some curtains before winter began. Deposit paid! My emails bounced back, phone numbers were disconnected and a getting desperate phone call to the fabric supplier came up with “oh, they closed their account with us about a year ago”. I felt pretty scammed. I felt a little silly, and a whole lot disappointed. I felt annoyed and grumpy. I felt like I’d just lost a few hundred dollars. Then I got mad and hunted down the guilty party. I found an alternative email address in the depths of a business listing website, and my firm but friendly email didn’t bounce back! Then a few days later, a reply! Woohoo! They’re alive! But all it said was the fabric had just been ordered. Not so promising but at least a response and a way of contact was formed. Days passed before another reply to my “where are my cuuuurtains? !” and apparently there’s trouble in the small-scale curtain maker camp. So my hopes were low. The next email got a little more threatening and I did feel bad about that but Autumn was well and truly settled in and I just wanted my curtains! Or my deposit back. I didn’t get a reply to that one. But eventually I got an email to say “your curtains are ready, where shall we send them?”. What? Really? My hopes rose a little but the fingers were still well and truly crossed. Until a week or so later and just as I was walking out the door one morning, a courier van pulls up with a big box?! Noooo… it can’t be?! I told the kids to stay in the car, and ran back in with my box, grabbed the scissors and opened it just enough to peek in. Hallelujah!!! We have curtains! I half expected spiders or mice or something to jump out at me too, but no. 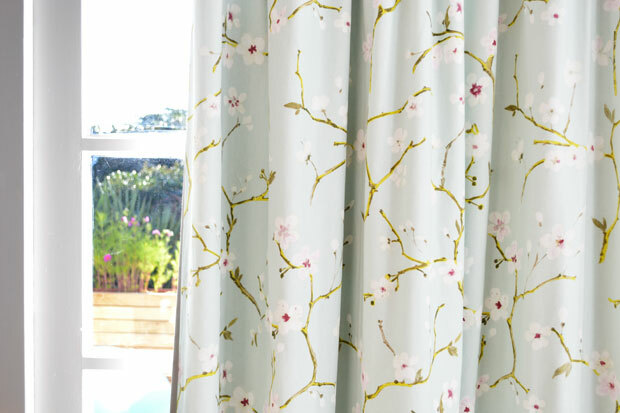 I just got my curtains, as ordered and as lovely as I hoped! Relieved and a little bit wiser, but I took a few days longer than I would normally to pay the balance. Fair’s fair I say. 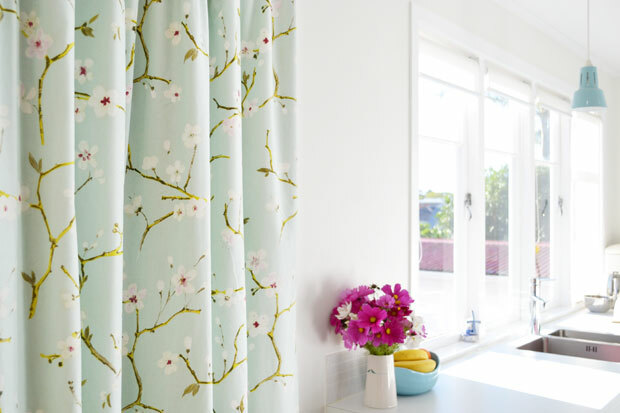 And now these are my favourite curtains to pull every night and morning, and we can enjoy dinner without the cold draught through the french doors. All is well! Especially now I’ve adjusted the hooks and they hang just right. I snapped these photos below before I fixed them up so ignore their bunching at the bottom, and just admire how they look from the living room (I forgot to get more photos from this angle after I’d adjusted them). The fabric is Pegasus EMI Imperial, in Duck Egg. My fave! And the curtain rings come in packs of 10 – Nusa, in pewter (but I sprayed them the same colour as I sprayed the rods) by Windoware, from Bunnings. I’m not naming the curtain maker because I believe they are/were genuinely in trouble and did their best (the curtains are well made and their advice in the beginning while we sorted the details was appreciated) but in future I will make sure to have a physical address for contact because phone numbers, email addresses and websites can disappear in an instant! 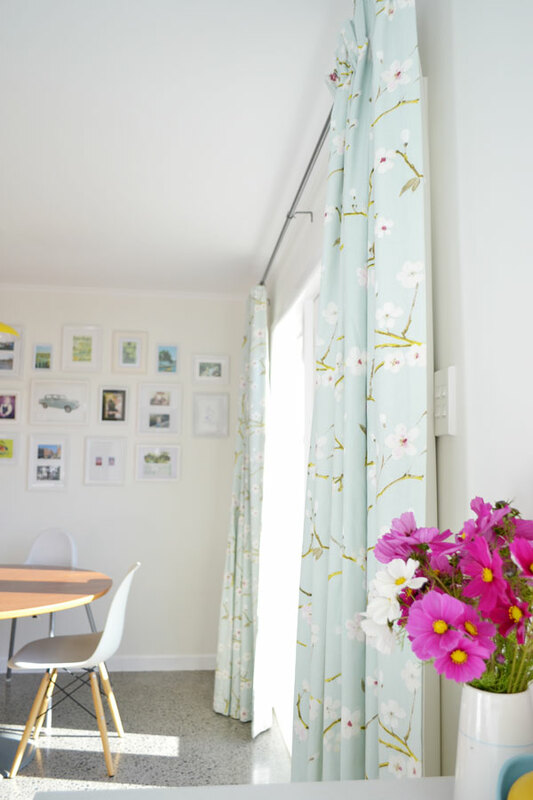 This entry was posted in Kitchen, Living & Lounge, Our Renovation and tagged cosmos, curtains, dining room, diy curtain rods, drapes, duck egg blue, emi, fabric, floral, french doors, gallery wall, imperial, kitchen, Mid Century, pegasus, pencil pleat, round table on May 27, 2014 by Jolene. Happy Monday! I’m writing to the sound of a lawnmower somewhere down the road, and I like it! Even though lawns need mowing most of the year, it does feel like a summer sound still. 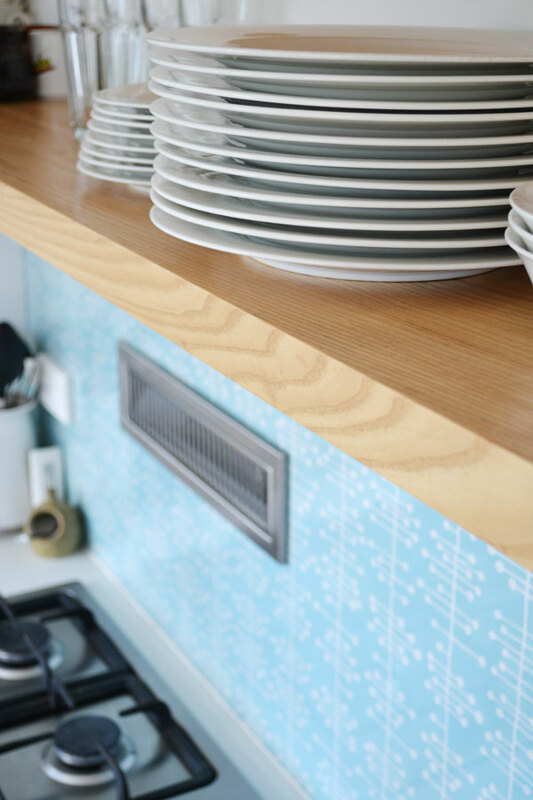 I’ve had a few readers ask about our custom splashback, so I thought I’d do a post on what I think of it, a couple of years down the track. Do I still like it, and how is it holding up to cooking mess, and general wear and tear? I wanted something here that would make an impact, as it is the only real area of colour in the kitchen. 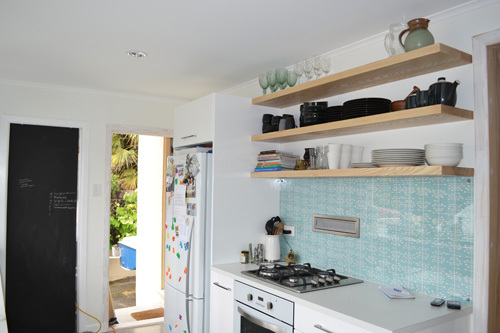 Our cabinets and benchtops are all white, and the open shelves (which I love! 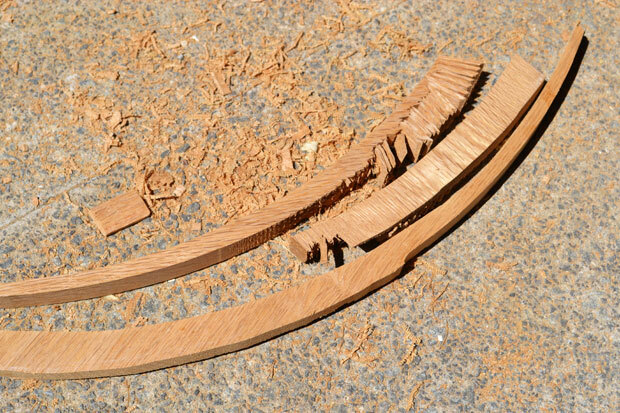 ), as you can see are timber. So the splashback needed to make something of a statement, to make this kitchen ours. Ideally, I wanted a glass splashback so it would be very easy to clean, especially because we have the extraction system set into it. I have heard tiles, which can look amazing, can also be annoying to maintain. 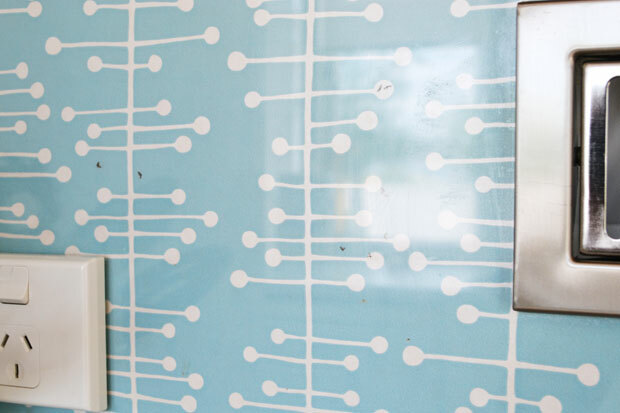 A quick check on prices for printed glass splashbacks (where a pattern, or photo is applied directly to the back of the glass) put that option out of our reach, but there is nothing like a budget challenge to make me get my creative hat on. I then rung around for prices on a clear glass option, explaining that I intended to fix it to the wall in front of some wallpaper. 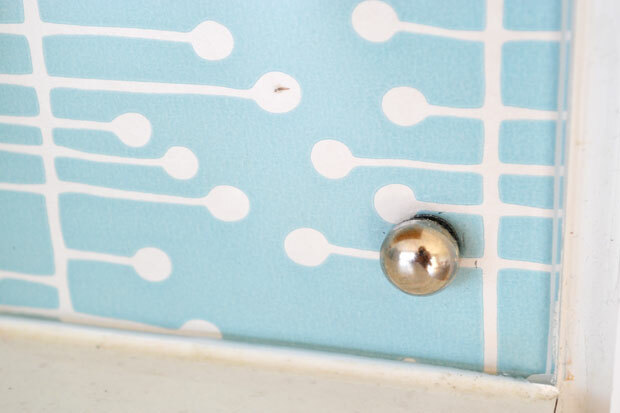 I already had my eye on this mid century patterned wallpaper (although I shopped around for a significantly cheaper price). It seems the standard way to fix glass splashbacks to walls is by smearing glue all over the back of them… so I had quite a few adamant replies of “No, we can’t help you with that sorry lady”. But I had a plan, and when I have a plan it’s hard to throw me off it (for better or worse!) so after talks with Andre and his dad we figured out a way to do it, giving me a comeback for those doubting splashback manufacturers! We had the glass cut with screw holes in each corner, and used some capped screws to fix it to the wall. 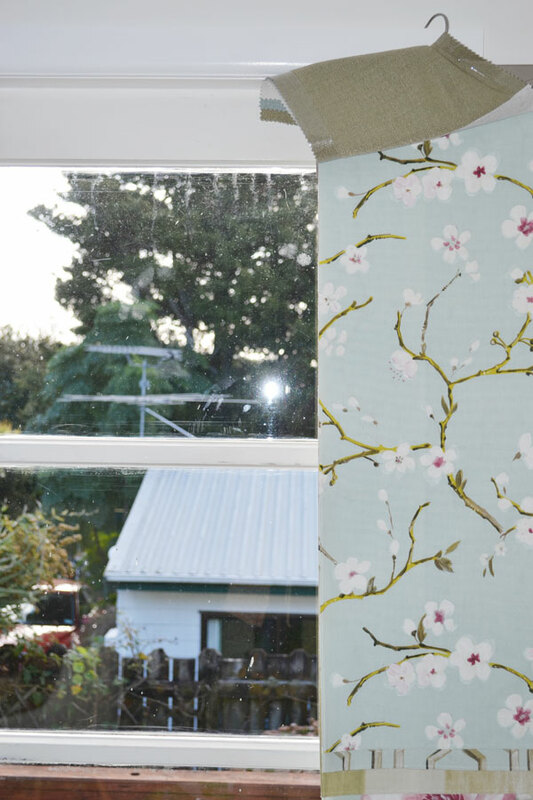 One thing we learnt in the process was to cut small crosses in the wallpaper, so it didn’t tear when drilling/screwing into it. Then the key to making this work is to silicone around all edges. As soon as possible! Bugs. Little, tiny, irritating bugs. Somehow they made their way in and there they stay to this day! I initially thought they might shrivel a little and drop to the bottom, but actually, they haven’t budged. I must admit, despite our best efforts at siliconing everywhere pesky ants etc might get in, the original few fruit flies have recently been joined by a couple more. We have both an extraction fan grill, and a power outlet set into this splashback, and I’m pretty sure we sealed around the grill, but for safety reasons we didn’t seal around the outlet. Perhaps this is where the two or three have got in? They do annoy me, I’ll be honest, but having exactly the splashback I had in mind makes me forget those bugs most of the time! We get so many comments about it, and I’m very glad I persisted with those doubters and I do feel like I’ve proved them wrong for the best part. There were predictions of doom and gloom and ants nests! There are no ants nests. 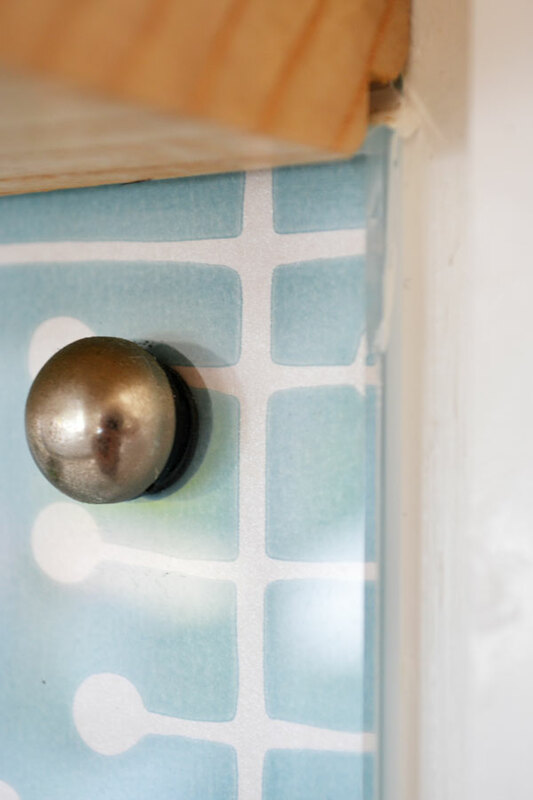 Just awesome mid-century pattern which adds personality to our kitchen and makes me smile while I cook! The thing is, even if things do get worse from here on out, it’s a simple matter of slicing off that silicone, removing the glass and wiping away the bugs. Put the glass back, redo the silicone and it’s as good as new. You have the look of a fancy custom printed or tiled splashback, for far less cost! A couple more posts planned for the week… I’ve taken way too many photos of our less than perfect but I love it very much Christmas tree, and some long-awaited deck progress updates! 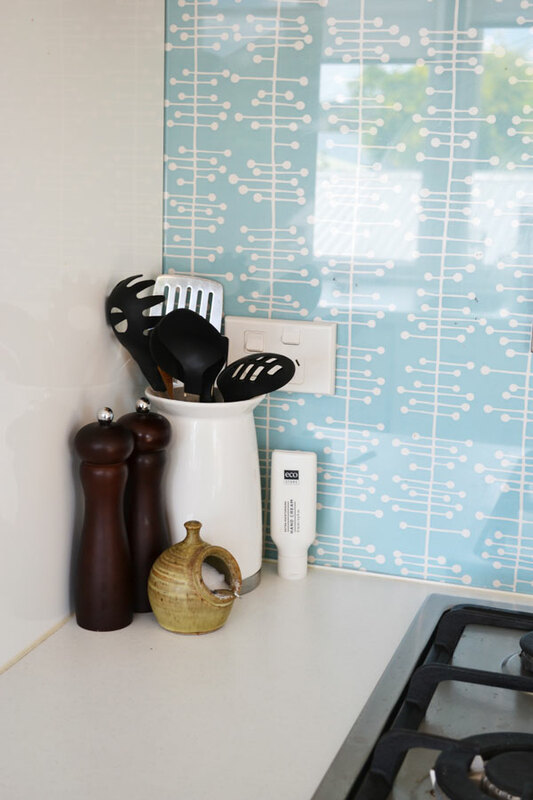 This entry was posted in DIY, Kitchen, Mid Century, Our Renovation and tagged custom splashback, duck egg blue, glass splashback, kitchen, Mid Century, missprint wallpaper, muscat small, open shelves, wallpaper splashback on December 9, 2013 by Jolene. I’m excited to show you this latest project! I hinted at another laminated timber project in my post about our kitchen shelves last week, and I also mentioned some more Mocka products coming to our house when I showed you the coat hanger in the kids room. My parents bought the Mocka stools for Master W’s recent birthday, and I initially planned to cut the legs down so they could be used under our coffee table. But because that sits on our precious rug, I knew it wasn’t the smartest idea. 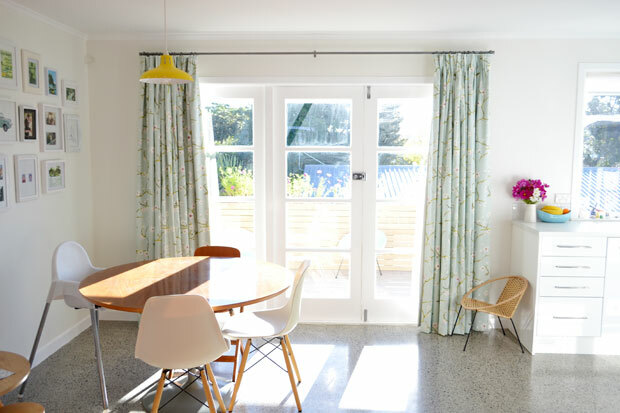 I’ve been reluctant about bringing in an unnecessary piece of furniture like a table and chair set for the kids, because while our less than 100 sqm house is huge by some standards, the first world way we live in NZ does mean I’m constantly culling things to keep clutter free. 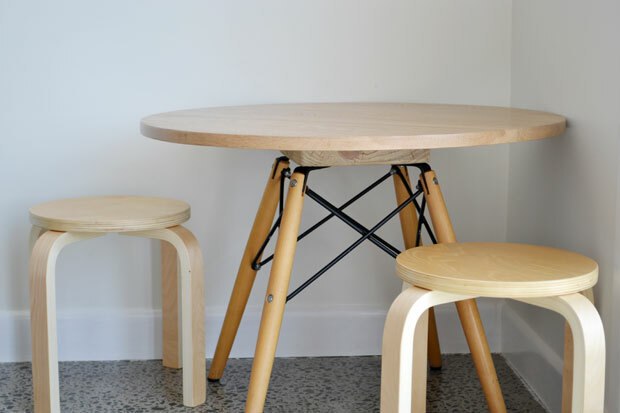 But… with kids slowly becoming interested in drawing and art projects, a broken chair which made my brain go “hmmm… what can I do with this?” and the arrival of the stools… I nudged our dining table over a little and made room! 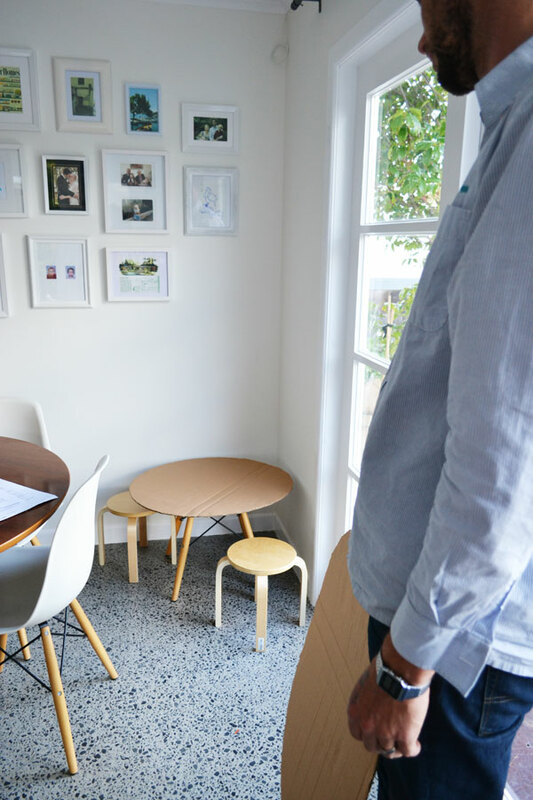 A few months ago, one of our dining chairs gave way completely (happens when you buy the cheapest replica Eames chairs you’ve ever come across) and the seat detached right off of the base. It sat miserably in the corner for a while before I gave up on it and banished it to waste away next to the rubbish bins outside. Some weeks later Andre managed to actually cram it into the bin, and out it went. 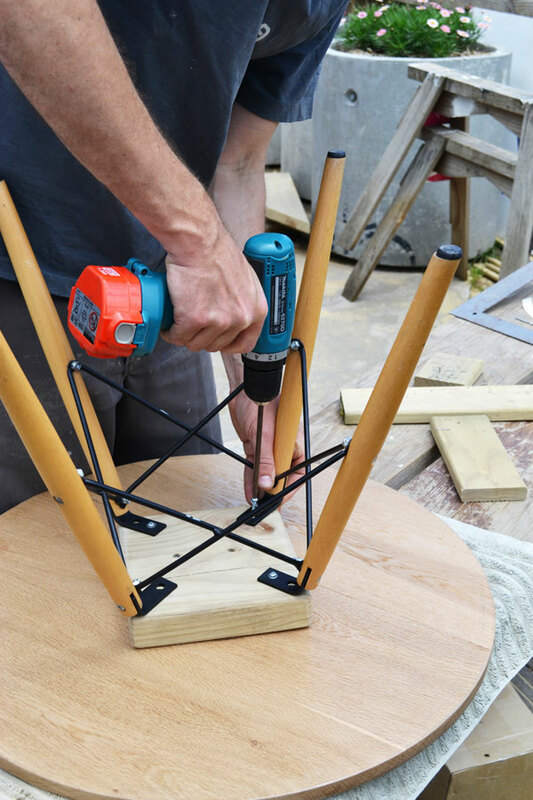 One Wednesday morning a few weeks ago I rung Andre in a slight panic… “what did you do with that broken chair base?? !” “Oh I chucked it in the rubbish, that’s what you wanted?” “Which rubbish? Is it still there? Did you put it in the rubbish at work? Can you check if it’s still there?” “I put it in our rubbish bin”. Picture me dropping the phone and running right out the back door. It was rubbish day. Andre’s dad turned up to work on the deck just as I was ferretting through the bin out by the road, but he’s getting used to my ideas, and probably wasn’t even surprised to see my grin as I rescued the chair base from the depths of the bin. 4 minutes later… repeat… F O U R minutes later and the kids are racing to the window to watch the rubbish truck come by and empty the very bin that had this chair base in. This project very nearly didn’t happen! 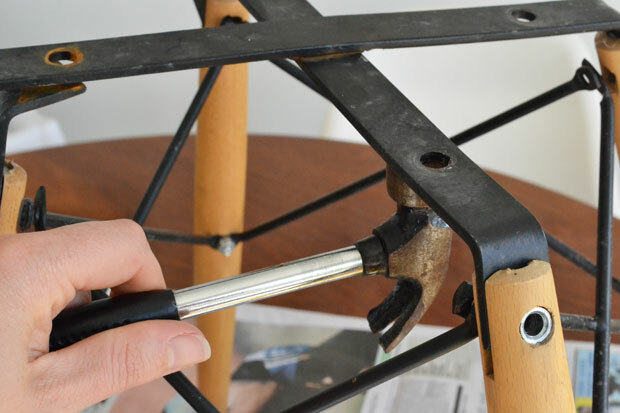 The way the brackets sat on the chair base meant it wasn’t level (a slight backwards slope is good for comfy seats, but not so good for a table to be) so I started with disassembling it. Meanwhile, Andre glued (laminated if you want to be fancy) a couple of pieces of old oak headboards together, which we already had in the garage. Because I wasn’t sure how we were going to put the base all back together at this point, I saved all my nuts and bolts. 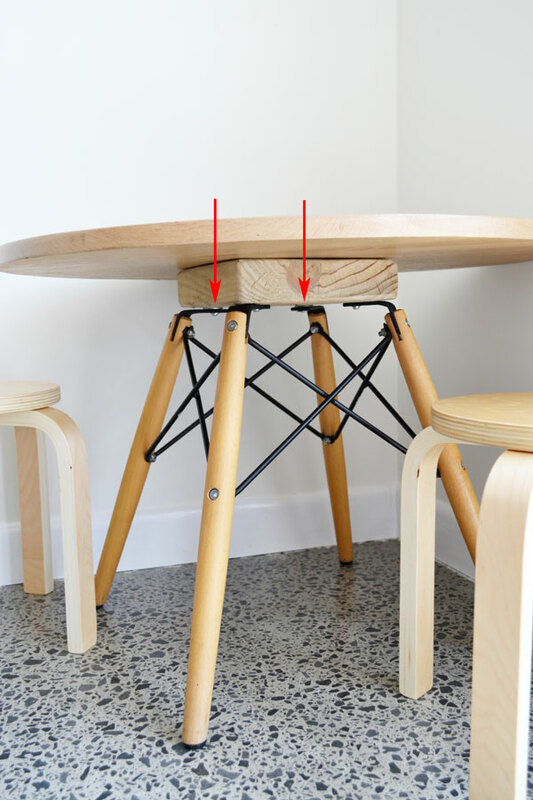 This is how the brackets sat on top of the legs in its first life as a chair. 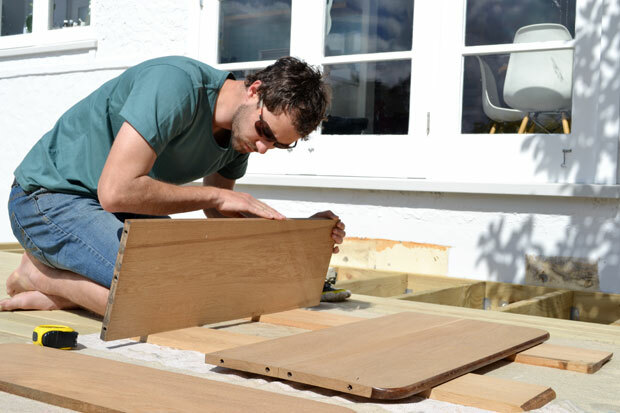 But thankfully I have a husband who is both a handyman and happy to go along with his wife’s ideas (mostly!). 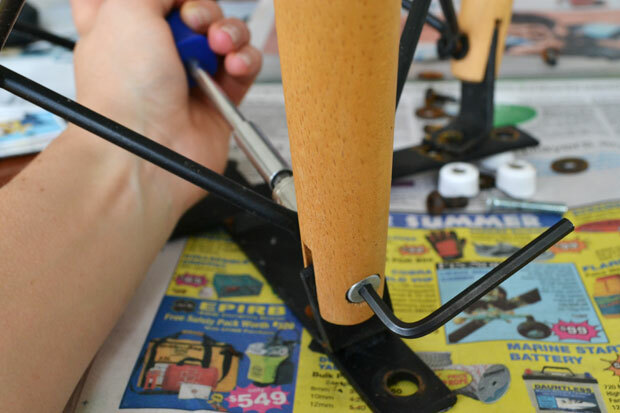 So he refashioned those brackets into something more simple, that we could attach a level table top to. 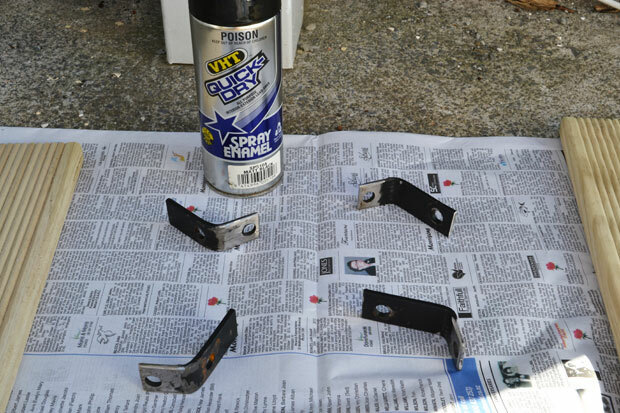 And then I repainted them with some matt black spray paint that we already had. 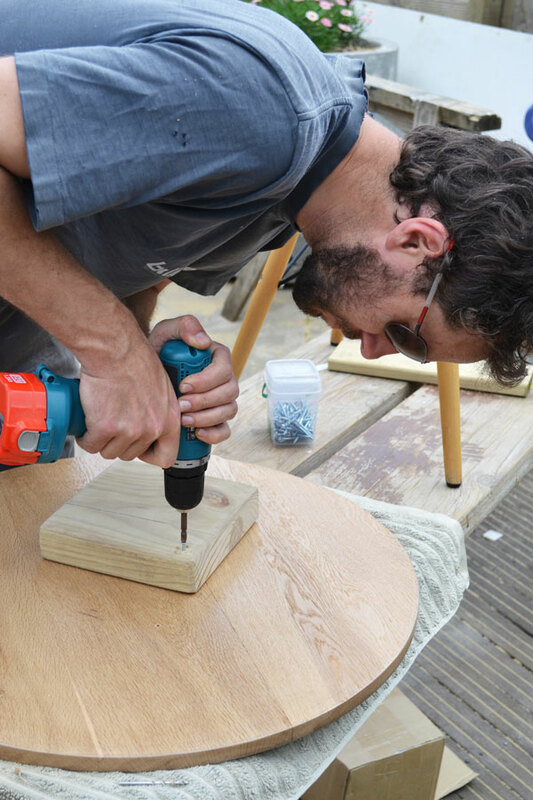 While the glue was curing on the table top, and the paint drying on the brackets, we mocked up a couple of sizes of top using some cardboard, and swapped them back and forth while we decided whether 600mm diameter or 700mm was best. This photo is here for no other reason than it’s cute factor… chubby legs and hands that still have dimples – aww! On the advice of his dad Andre first cut out the top with the jigsaw, leaving a couple of millimetres (you can just see this in the photo above). 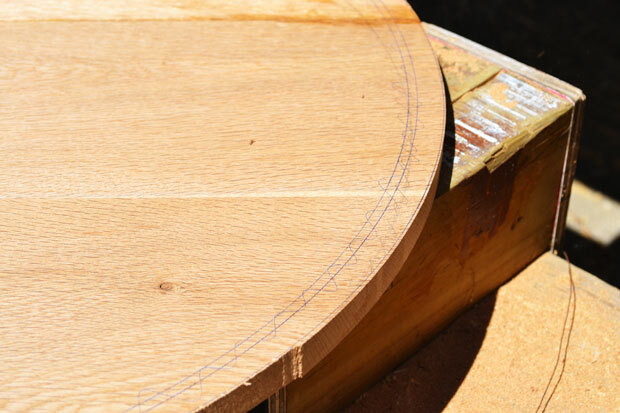 Then he set up the router attached to a jig, and with me holding tightly to the table top, he ran the router around to evenly trim off those extra millimetres. However, it was one of those days… and as I tried to turn the top as Andre worked his way around with the router, I lost my grip and the router went mad. This is the damage, trimmed off by a second go with the jigsaw. Because I was sulking inside, and because clamps were a better bet anyway, Andre gave the router another go without me. 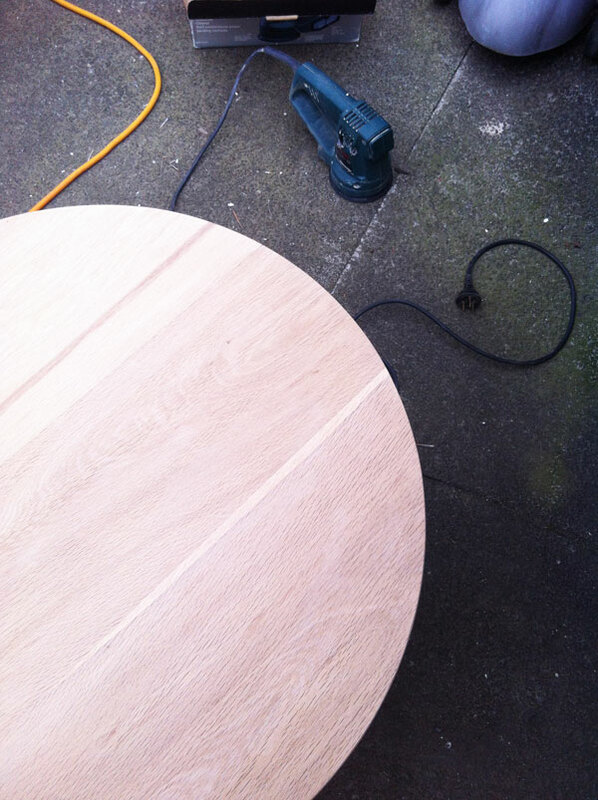 I got over the fact that we were back to nearer 600mm diameter (luckily without any injuries) and got to sanding. There’s something pleasant about sanding nice timber (picture me stroking it smooth! ), despite the dust. Then the kids helped with wiping down the dusty top with damp cloths when I’d finished. 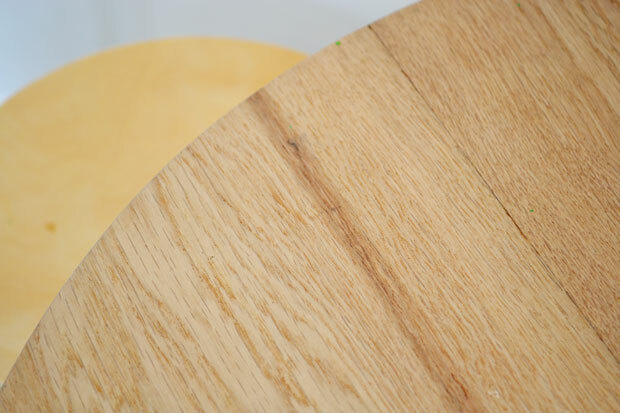 But that seemed to roughen up the grain a little, so I gave it another sanding with a very fine grit, and then just brushed it down rather than wiping with a cloth. 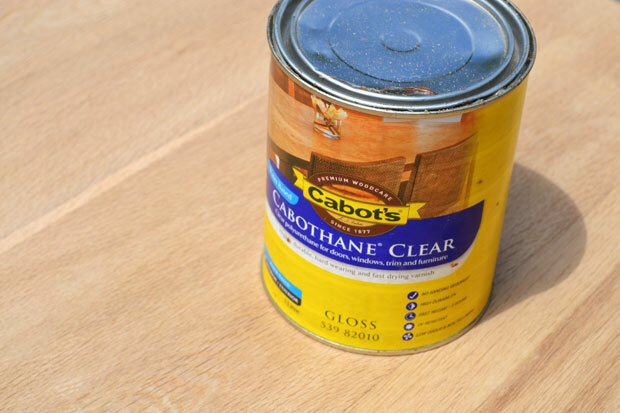 A few coats top and bottom with Cabot’s Cabothane Clear varnish (leftover from the kitchen shelves) and then I handed back to Andre to attach the top to the legs. We needed the top to sit a bit higher than the base allowed for, so it gets a little ugly with a small slab of leftover timber from the deck. Thankfully it’s hidden from view to all but crawling babies so it’s fine. Sorry crawling babies. …And we called it done! We are not entirely sure about three different types of timber all in such close quarters, so a suggestion box is currently open. So far it holds “paint the table legs white?” and “crochet some seat covers?” but for now the box remains open, while we have other priorities. This is the crawling baby view. But adults and bigger small people get to see the wider view… …including that awesome deck that we’re already enjoying when kids are safely in bed and unable to fall over the edge. 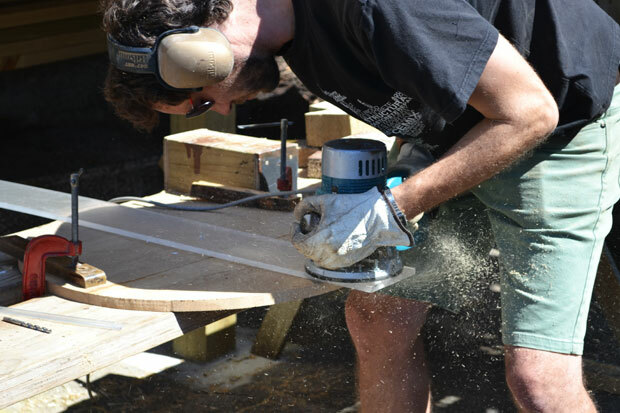 Screens and balustrades are coming…! But this table is excitement enough for now. It was free! 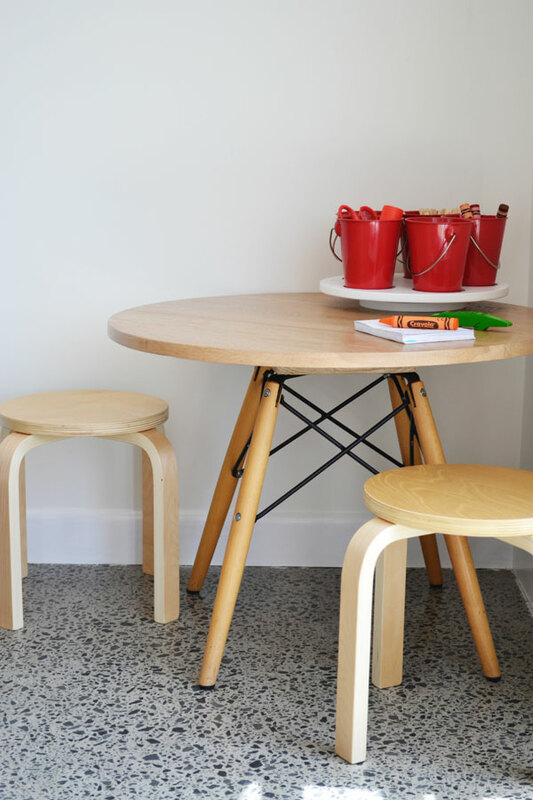 Entirely made from things we already had, and already it’s the kids favourite place for morning teas and drawing. A perfect project! 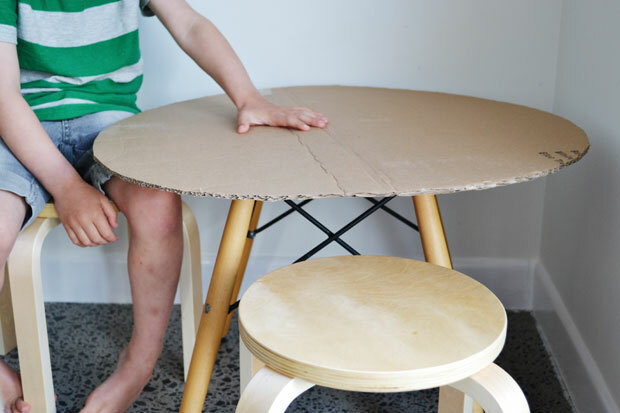 This entry was posted in DIY, Kids, Kitchen and tagged american oak, art table, concrete floor, dining table, diy table, eames chair, kids table, laminated timber, mocka stools, table top, timber table, upcycled furniture on November 18, 2013 by Jolene. 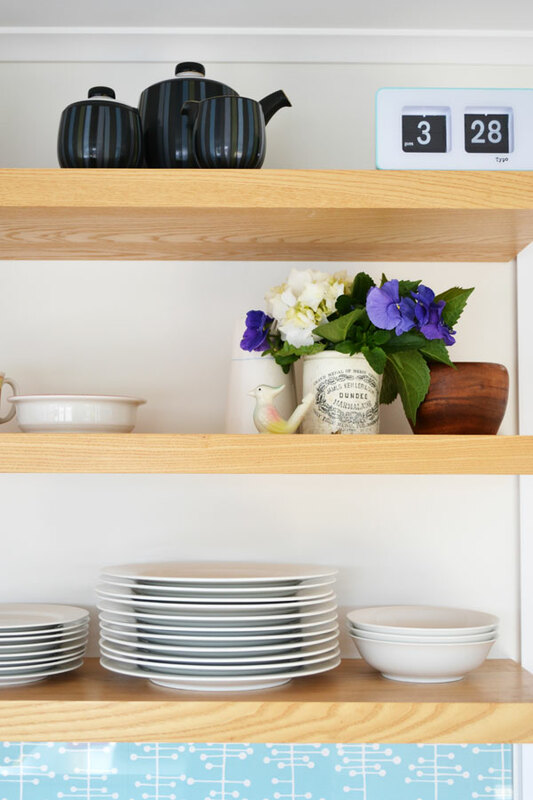 We’ve been having some gorgeous spring weather lately, and the other day I got inspired to clean and rearrange the open shelves in our kitchen… Lighten them up a little, to go with the sun streaming in the windows across the other side. I won’t dwell on the cleaning process, but it is the only definite disadvantage to open shelves in a kitchen. Ours also happen to be right above the stove. There was a lot of ick, but I’m still in love with them and wouldn’t have our kitchen any other way. How amazing is that?! 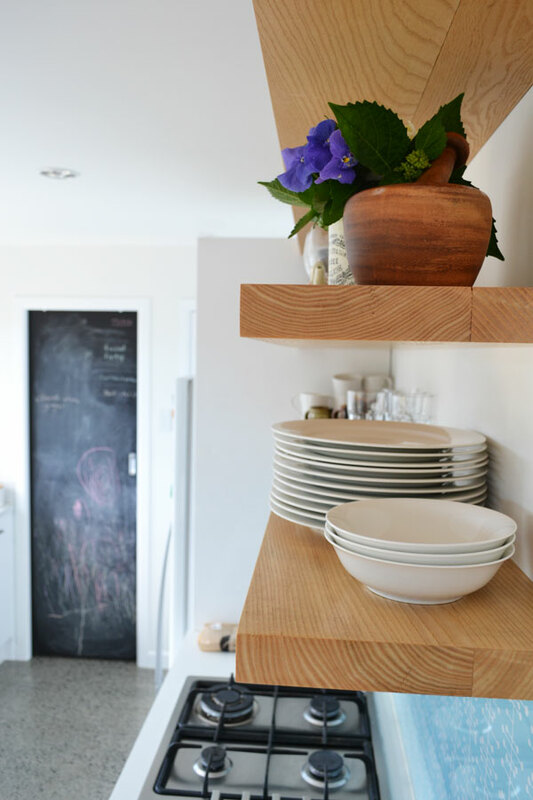 When these clever-husband-built-shelves were first installed, they got loaded with every single plate and drinking vessel we owned, plus recipe books and sundae dishes and jugs I never used. As a testament to Andre’s design and build skills, these shelves held up without so much as a groan, but I never intended for them to just be a place to put things. So the sundae dishes have gone to my charity box, and most of a dinner set and the recipe books got put away elsewhere. Now my cupboards are well and truly stuffed full, but I just shut the doors and admire my pretty open shelves! A while back someone asked me about our in wall extractor. Does it work? Are you happy with it? To be honest, I don’t think it works as well as a range hood, but it was the best option for our kitchen, and I’m happy with it. The functionality and prettiness far outweigh the little bit of extra cleaning that is required. I used this homemade cleaner on the shelves, and it worked marvellously. Love these shelves, love my kitchen! And… I’ve just painted a third coat on another little laminated timber project that I hope to share after the weekend… can’t wait! 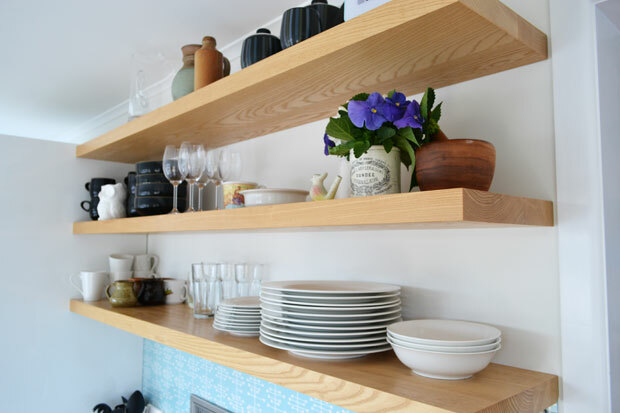 For a less permanent and much smaller taste of open shelving, a plate rack is a cute idea too – like this photo from Mousehouse. 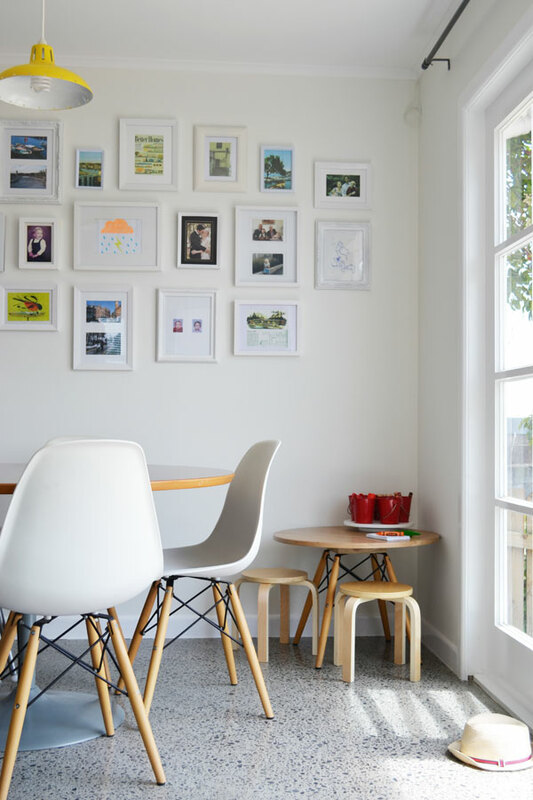 This entry was posted in Kitchen, Our Renovation and tagged american oak, kitchen, open shelves, timber shelves on November 13, 2013 by Jolene. 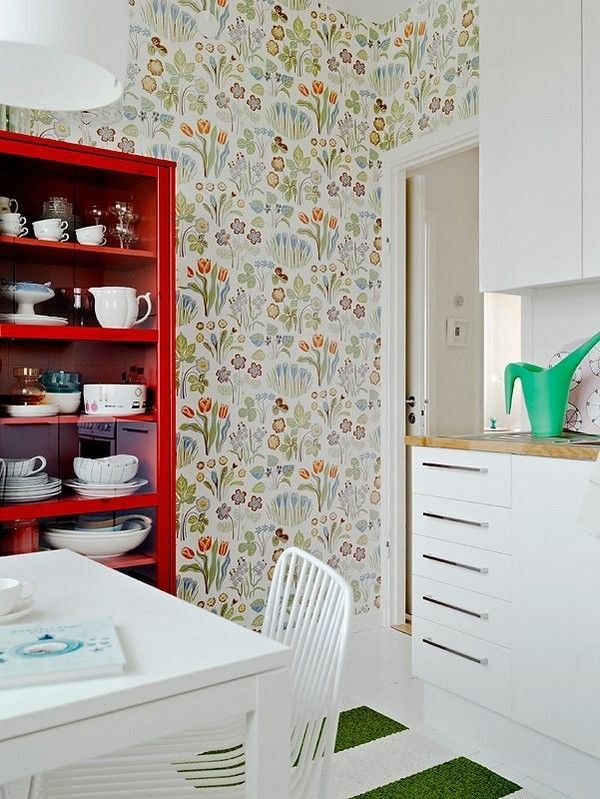 Yesterday I shared a photo (via Roomie) on Facebook of a colourful kitchen in Scandinavia. For those of you who missed it – here’s another peek! Don’t you love the personality?! 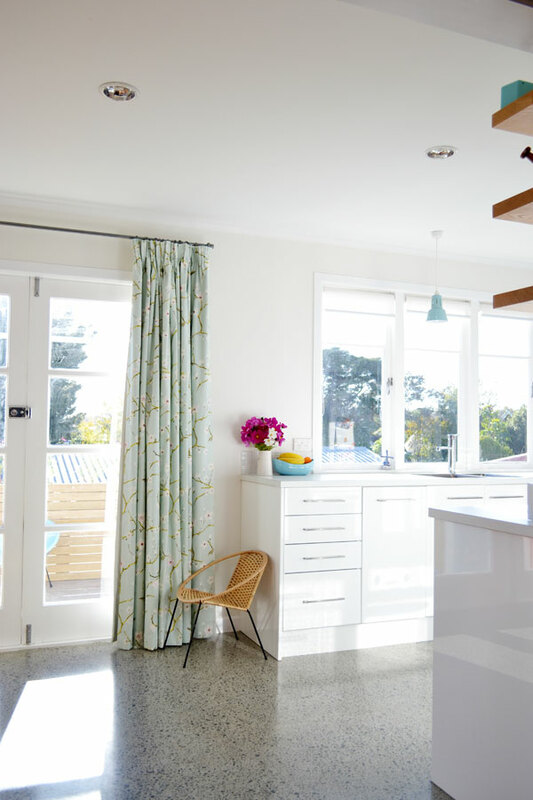 Kitchens can tend to be pretty sterile places, but this one is anything but. I’m wondering if that rug is meant to look a little like grass…? Or is that just me feeling like this kitchen is a walk through Nana’s garden? I’m sure we’ll agree though that the wallpaper totally makes this kitchen special. So… wallpaper it is. Wallpaper, wallpaper, wallpaper. – Stripes and dots by Vision Wallcoverings – this one is all matchy-matchy with my new filing labels! 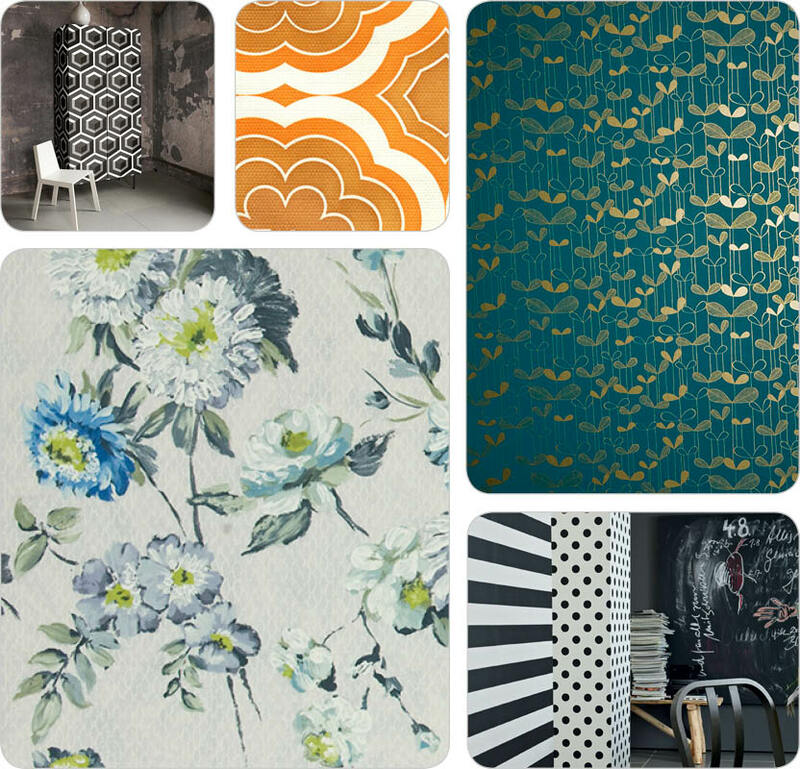 – My bestest favourite… Ophelia Delft by Designer’s Guild, from Allium. They also have a rug available which I reeeally want. 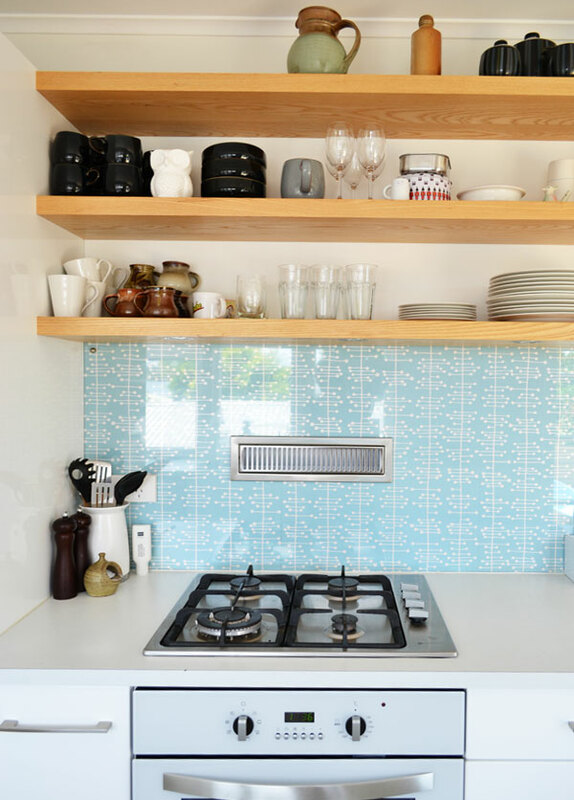 It’s the Duck Egg Blue diy version of a custom painted splashback. Wallpaper with clear float glass over top. But don’t forget to silicone around the edges so no icky cooking residue or bugs get in. 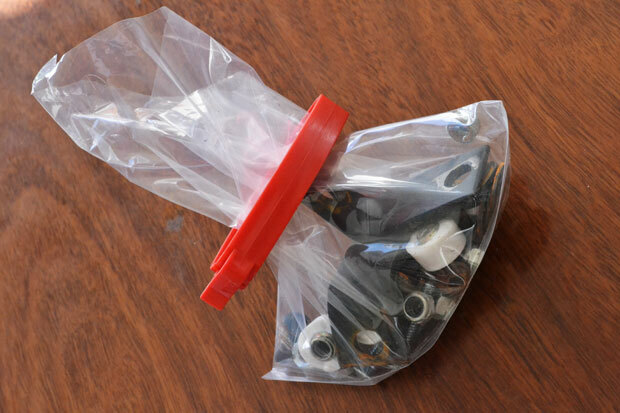 Easy peasy and budget friendly! 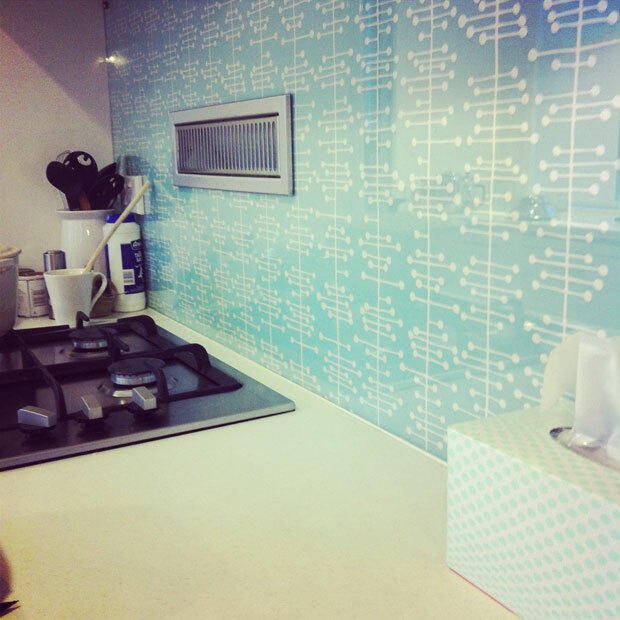 This entry was posted in Design, Interiors, Kitchen and tagged allium, custom, designers guild, duck egg blue, kitchen, miss print, new zealand, paper room, splashback, the inside, vision wall coverings, wallpaper on June 27, 2013 by Jolene. I have loads of projects on the go, they’re just not going far or fast right now. Kids, weather, a weekend away – they’re not good for progress – but they’re good for other things! 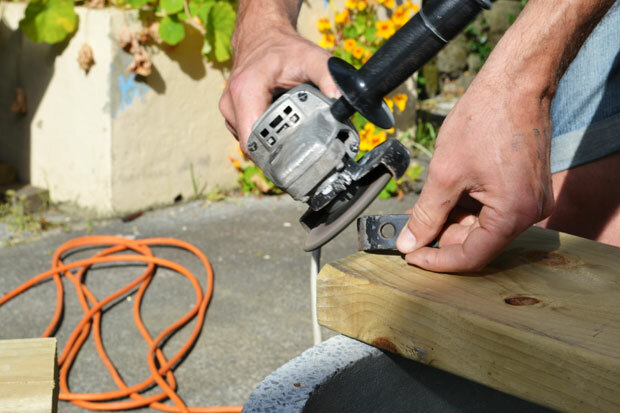 So, you’ll have to wait a bit to see the kindling box, headboard, curtain rods (yes I did mention those months ago), more on the backyard and where we’re at with the front lawn. For now, I have concrete on my mind. It started with a promo email from The Design Gift Shop this morning. Concrete continues to astound me. It’s no longer just a cheapish option for whatever ground you have to cover… it’s a material for crafting pretty much whatever one can think of. Those spice jars – so (stuck for words) cool! And I love our concrete floor to bits – minus the kisses. Having two little ones in the house it does get a bit icky under the dining table at least 3 times a day. But it does a reeeally good job hiding that if I just don’t feel like mopping it up right away. Again. Also, it’s no colder than the timber floorboards in the mornings (they’re both pretty cold to be honest!) and the afternoon sun does a good job of heating it up so it is warmest in the evenings. Hardly a person visits our house without commenting on it, and I’ve had to run for the nearest cloth a few times when I see them start to get down on their knees for a good look. There are a million and one companies that can give you one, if I’ve convinced you, but it really is worth trying it yourself. It’s kind of fun, looking back on it months later! 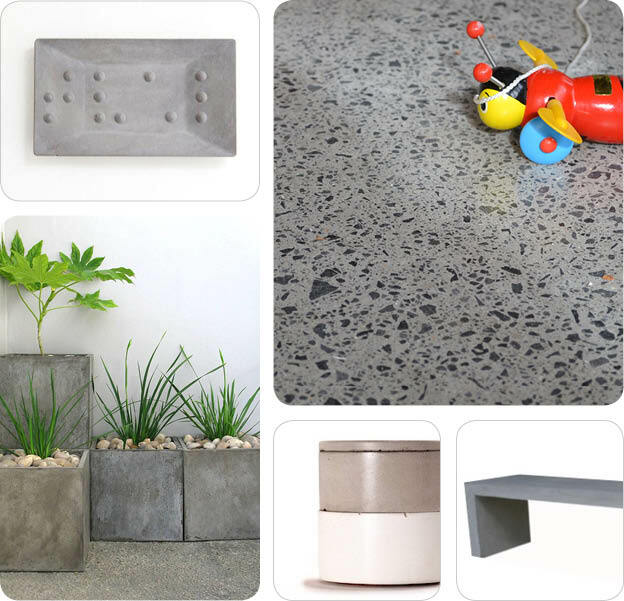 This entry was posted in Design, DIY, Interiors, Kitchen and tagged bench, concrete, diy, floor, kitchen, new zealand, NZ, planter on May 30, 2013 by Jolene. 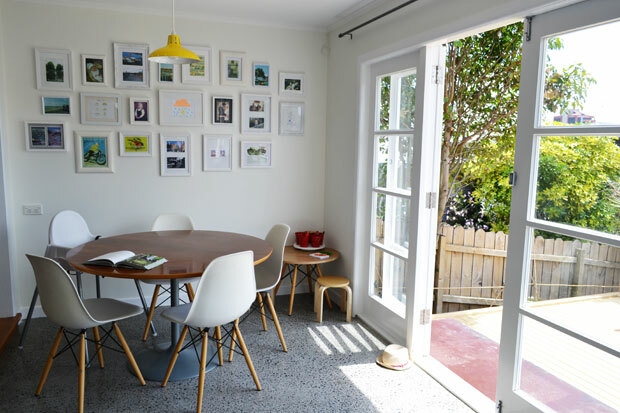 There are lots of little things you learn to live with when you’re renovating. I imagine it’s the same if you build a new house and move in before it’s completely finished too. We picked up this handle at a demolition place (sorry, I can’t remember where or when… it has been sitting around for a while!) and I realised as I watched and took photos why it’s a job Andre has been avoiding! 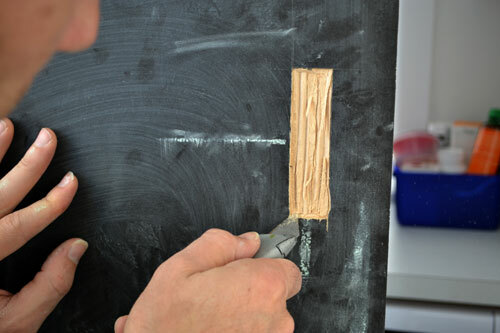 First up he held it in place while I directed – “up a bit… little bit more… stop – down a bit… yep there!” then he marked the centre (vaguely) with some chalk. 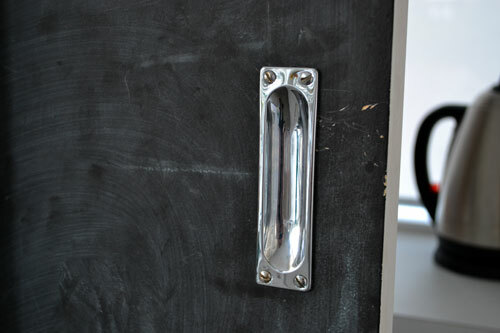 Then came the hard part: cutting into the door so the handle could sit flush (it’s a recessed handle). This is not a “how to” install a recessed door handle by the way. 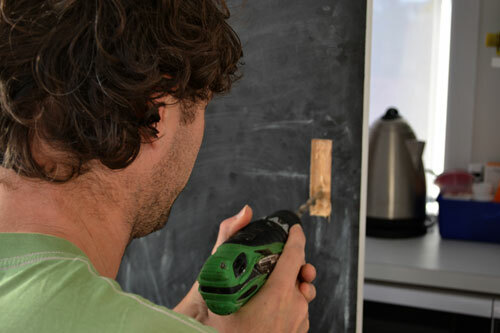 It’s a “how we” install a recessed door handle. It’s the finishing touches that make all the difference isn’t it? Note: Yes, we have a permanent Bunnings shopping list (empty due to a trip earlier in the day) on the go as well as a grocery one (which is on a notepad so I can then take it to the computer to do my shopping online)! 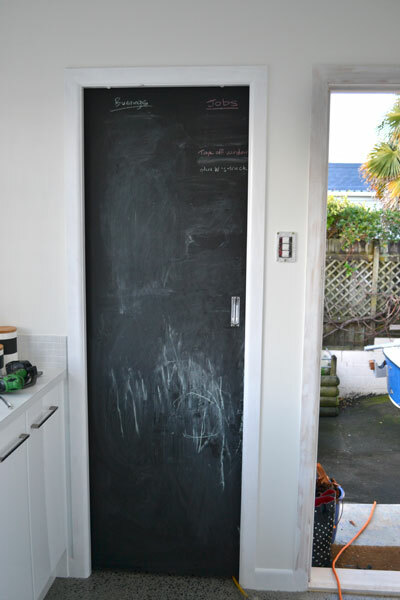 This entry was posted in DIY, Kitchen, Our Renovation and tagged blackboard, handle, how to, pantry, recessed, sliding door on June 11, 2012 by Jolene.